musicMagpie is excited to announce their Bank Holiday 20% off promotion featuring up to 20% off pre-owned Music, Film & TV, Games & Books! Enjoy great titles such as ‘DVD TITLE’, ‘CD ARTIST TITLE’ & ‘GAMING TITLE’ & many more! Offer: Up to 20% off Pre-Owned Music, Film & TV, Games & Books! T&C’s: Please see website for further details. Also, take advantage of our Tech sale featuring up to £25 off pre-owned tech! T&C’s: Discount automatically applied onsite. Don’t forget that all items come with FREE DELIVERY, the musicMagie Quality Guarantee and all tech comes with a 12-month warranty! If you have any questions about the above promotions, please let us know! musicMagpie Trade are offering an EXTRA 10% for unwanted tech including phones this MAY BANK HOLIDAY WEEKEND! Offer: Extra 10% for unwanted Tech including mobile phones! T&C’s: No code necessary. 10% Extra applied at checkout. See website for further T&C’s. All orders are collected for free via our courier service and we also pay out on same day delivery too! If you need anything else to help promote the above offers, please let us know. 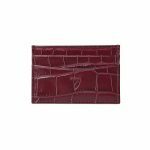 Aspinal of London have an extensive range of Men’s Small Leather Goods, and some of these handcrafted items we want to highlight in this newsletter. Store and protect your favourite writing pens in style with our Small Pen Case. 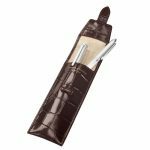 Handmade from the finest deep shine amazon brown croc Italian calf leather and lined in soft stone suede, this slimline leather pen case is suitable for storing two slim pens. 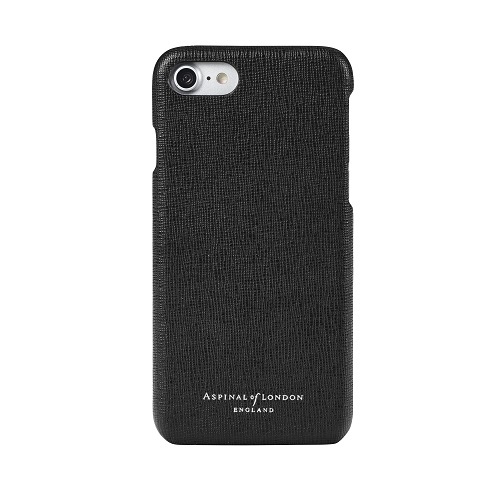 It has a semi-structured design and is secured with a tab closure. 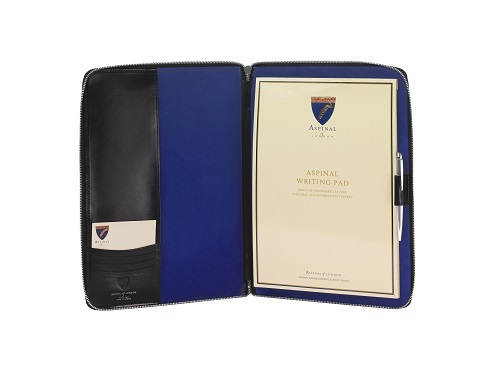 Safeguard and protect your iPad Mini from every day scratches with our stylish iPad Mini Sleeve. Handmade from the finest vegetable tanned Chocolate Brown Saffiano Italian calf leather, the iPad Mini sits snugly in the slim-line sleeve and suspended upon the simple yet ingenious grosgrain ribbon that is secured on the outside by a hidden magnet tab closure; just pull the tab to raise the iPad Mini out of the sleeve with ease. 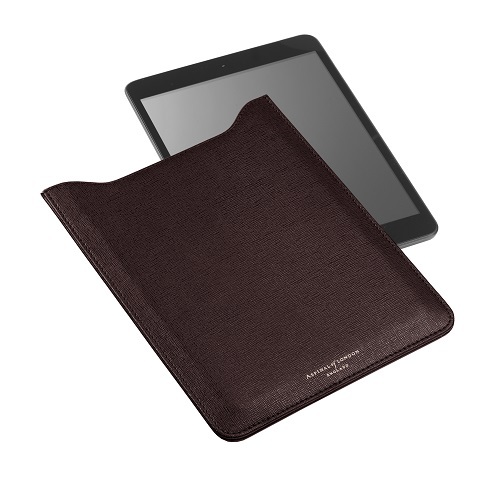 The iPad Mini Leather Sleeve can be personalised with up to four initials. 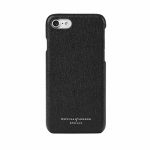 Safeguard your iPhone 7 from everyday scratches and bumps with our slimline and lightweight iPhone 7 Leather Cover. The durable hard plastic moulded snap on cover is hand bound in the finest black saffiano textured Italian calf leather and lined in black soft suede offering excellent protection and durability and features cut-outs for full access to all ports, buttons and camera lens. The back of the cover can be personalised with up to four initials. 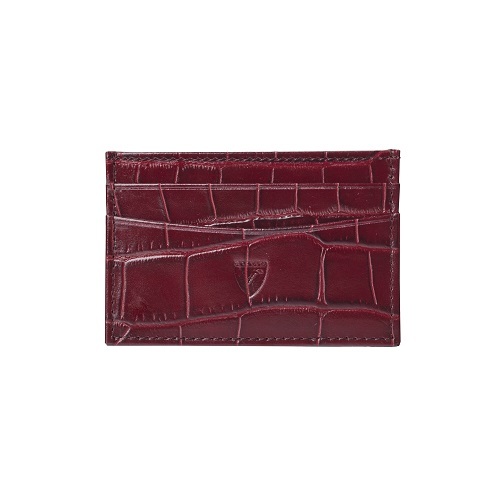 A slimline alternative to a full sized wallet, our Slim Credit Card Case is handmade from the finest bordeaux croc Italian calf leather and will safely hold up to six credit cards and also fits standard sized business cards. Can be personalised with up to four initials. If you have any questions, please do not hesitate to contact us—we’re happy to help! Each week, Pink Boutique has an ‘OMG product of the week’. This week’s product: Roxanna Red Suede Heels. Step out in style in these gorgeous red suede heels! These strappy sandals in a faux suede fabric feature a stiletto heel and buckle fastening at the ankle. Team these red peep toe shoes with a red mini dress and you'll be looking smokin' on your next night out! Heel height: approx. 4,5 inches. We just wanted to let you know that Rare London have launched a flash delivery offer: Free Standard Delivery on all orders. This offer will end Wednesday at midnight. The next big racing event in the Jockey Club calendar comes from Epsom Downs Racecourse for the Epsom Derby Festival, ranked the greatest flat race in the world and one of Great Britain’s most traditional days out. Featuring 2 action packed days on Friday 2nd June and Saturday 3rd June, the 2017 Epsom Derby Festival will be busier than ever and we have some great affiliate commission increases to offer for all sales from today until Friday 2nd June and also a chance to win tickets to a future Epsom, Sandown or Kempton race day of your choice in 2017! Increased Affiliate Commissions for the Investec Derby Festival! The Investec Ladies' Day on Friday 2nd June 2017 combines high style stakes with some of the best flat races in the world. Elegant, fashionable racegoers gather for a classic day's racing at Epsom with many competing to win the much sought after title of 'Best Dressed Lady'. The Investec Oaks, for the very best middle-distance 3yo fillies, is the feature race on what is one of the most exciting and significant race days of the year. With winnings of £1.325m, the Investec Derby has one of the biggest prize in money in UK racing, matched only by the prestige that victory brings. It remains the one race that everyone wants to win and boasts an unrivalled roll of honour, from legendary names such as Seabird, Nijinsky, Mill Reef, Shergar, Galileo and more right up to 2016 hero Harzand. Win Epsom, Sandown or Kempton race day tickets to a fixture of your choice in 2017! From today until Friday 2nd June, the most tickets sold by an affiliate will win tickets to a London regional fixture of their choice, we have broken down this incentives based on incentive sites and also content based sites. The most ticket sales generated by our top incentive affiliate between 12th May 2017 – 2nd June 2017 will win 8 tickets to a London regional racecourse fixture of their choice! The most ticket sales generated by our top content affiliate between 12th May 2017 – 2nd June 2017 will win 4 tickets to a London regional racecourse fixture of their choice! Winners will be contacted after the IDF has finished to arrange ticket preferences. If you have any questions about the above commission increases or competition, please let us know! Rare London have a fantastic offer that starts tomorrow! Valid: Wednesday 17th May - Monday 22nd May. These codes can also be found in the dashboard, and we have also uploaded supporting creatives. We hope you’re well and had a fabulous weekend. Aspinal of London is holding a competition in June, and we’d love for you to participate. If you reach five sales in June, you will qualify to win an Aspinal small leather good, as well as 10% CPA throughout July! * These sales have no restriction in minimum order value restriction; they just need to be made in June. If you need anything to help you promote Aspinal of London, please contact us—we’re happy to help! *Competition terms: Affiliates must reach 5 sales (no minimum order value) in order to qualify for the competition. The winner will be selected based on whoever generates the most sales (unit quantity). If multiple affiliates reach the same number of sales, the winner will be selected based on most revenue generated from the competition sales. We hope you are well today. 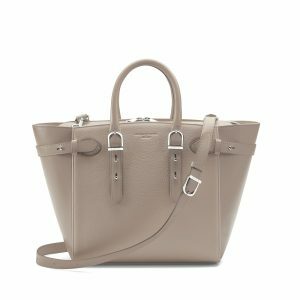 Aspinal of London would like to showcase the Medium Marylebone Tote. The luxury Medium Marylebone Tote is handmade from the finest soft taupe pebble textured Italian calf leather. This unique item is super practical, with an added optional cross body strap for the ultimate in covetable practicality. This beautiful tote boasts extra internal pockets with paths to carry your phone and tablet devices. With the ability to carry an integral mobile phone/tablet battery charger pack discreetly. The Medium Marylebone Tote is available in a range of stunning colours, including: Burgundy Saffiano, Navy Pebble, Deep Shine Forest Green and many more. Please follow this link to see the whole collection. If you need anything further to help promote this fantastic tote please don't hesitate to get in touch. The Pink Boutique Mid-Season Sale is on until 7th May! Find items under £10 and with up to 50% discount on the website. A banner for this Mid-Season Sale is available in the dashboard. If you need anything to help promote the Pink Boutique Mid-Season Sale, please get in touch – we’ll be very happy to help. With Aspinal of London, you can travel in style. The luxury travel collection has a range of travel sets to take with you on your journey. Some of these even come with complimentary embossing. The Aspinal of London Travel in Style collection (travel sets). 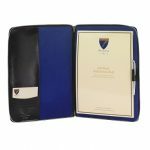 If you need anything to help promote this fantastic Aspinal of London range, please get in touch – we’ll be very happy to help. Have you seen the Midi Marylebone Tech Tote? If not, you—and your users—are missing out! This business bag is part of the Marylebone Family and Aspinal of London’s 2017 Spring Summer Collection. Handmade from the finest teal nubuck croc print Italian calf leather, the Midi Marylebone is a super practical mid-sized version of the iconic Marylebone with an added optional cross body strap for the ultimate in covetable practicality. Boasting extra internal pockets with cable paths to carry your phone & tablet devices, the business bag is designed to carry an integral mobile phone and iPad / tablet battery charger pack for use with all your mobile devices giving you the freedom to recharge your tech gadgets on the go in style. We would love for you to promote this practical yet incredibly stylish tote. Images are available upon request. If you need anything to help promote this fantastic product, please get in touch—we’ll be very happy to help.